The one with Color Zone Glow in the Dark polish! I bought this set of Color Zone polishes at TJMaxx. They came three to a pack. 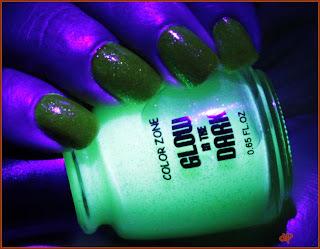 I chose a pack with a bright purple, a black glitter with silver moons jelly and this glow in the dark polish. I was always skeptical of glow in the dark polishes. I've had my share of them that didn't work. Does this one? 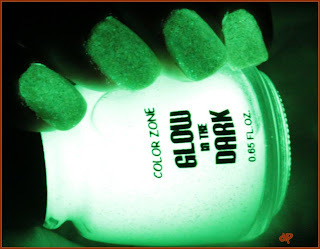 Pictured is three coats of the glow polish over one coat of Pure Ice Wild Thing. This one is a win! 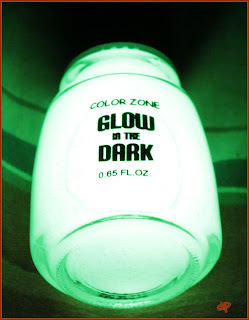 It doesn't take hardly any charge-up to get it to glow like this. 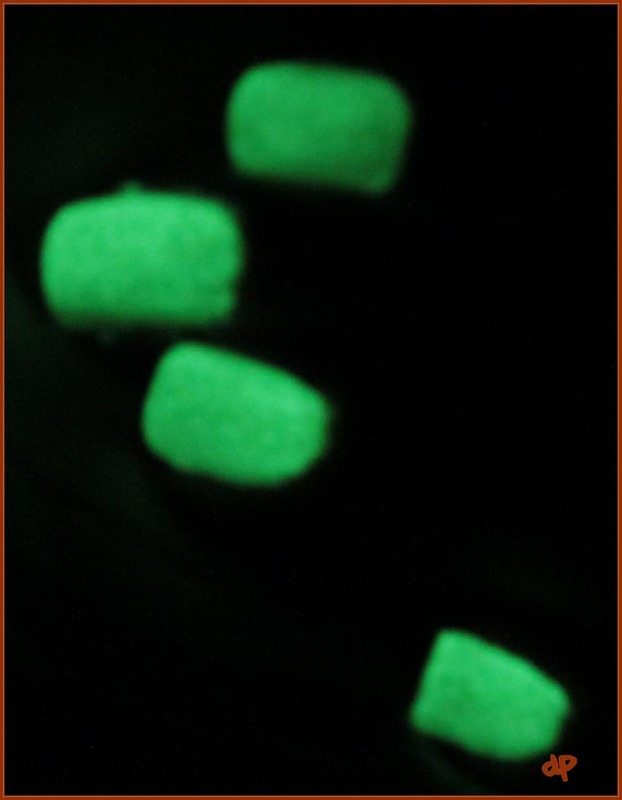 It really just glows like this on it's own! I think the grainy look it has is because of the glitter in the polish, altho I'm not completely sure. 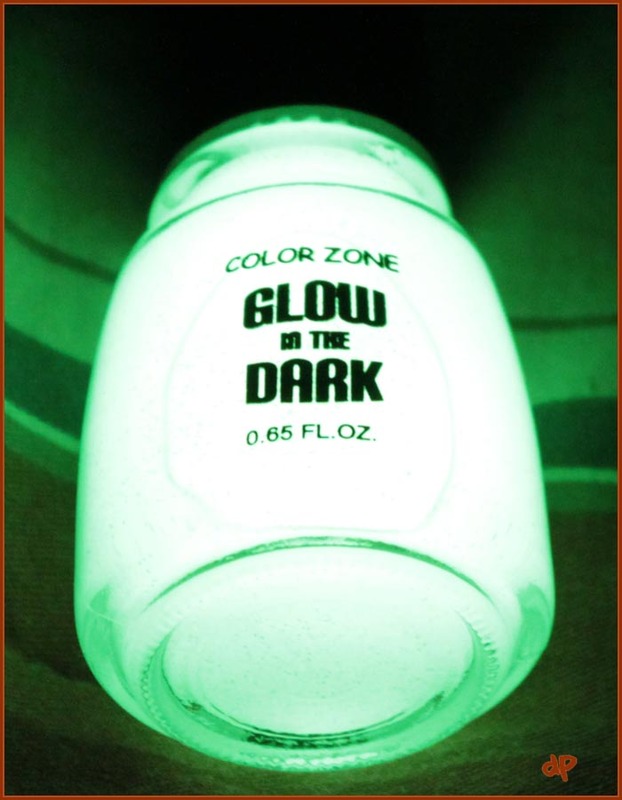 So are you guys ready for Glow in the Dark Week? And remember to vote in the poll on the right sidebar - it's for next week's theme!